YOUR MAMAS NOTES: The last couple weeks Your Mama has been on an informal and haphazard attempt to clean out some of the celebrity real estate cobwebs on our trusty laptop computer. Today we continue in that vein with a brief discussion of a modest if not exactly inexpensive Santa Monica, CA residence owned by actor Elijah Wood who recently listed the property–as a tear down, dontcha know–with price tag of $1,850,000. The former child actor (The Adventures of Huck Finn, North, Flipper) hit the Tinseltown jackpot in the late 1990s when he was cast in the enormously popular and lucrative Lord of the Rings Trilogy. Since that sci-fi franchise came to a close in 2003-4, the now 30-year old Mister Wood expanded his move role repertoire with a bevy of small but interesting films that include Eternal Sunshine of the Spotless Mind, Green Street and Everything is Illuminated. The massive music aficionado also founded and runs his own indie record label Simian Records. Property records show the 2,130 square foot Spanish-style casa–teeny-tiny by today's celebrity real estate standards–was built in 1924 and acquired by a then 18-year old Mister Wood in August 1999 for $1,450,000. Based on previous reports and other online information, the charming but unassuming main house was occupied primarily by Mister Wood's momma and poppa while young Mister Wood set up house the detached guest quarters. Listing information indicates the two-story main house contains 2-3 bedrooms and 2 bathrooms while the guest cottage, detached from the main house but attached to the two-car garage, includes an additional bedroom and bathroom plus a small office area. A boxwood lined walkway leads to the rotunda entry hall laid with what listing information calls "British brewery cast iron tiles." We're not really sure what those are but presumably they're interesting enough to be mentioned in the listing. The entry gives way to the "formal" living room with its spectacular barrel-vaulted ceiling, over-sized picture window, and wood-burning fireplace flanked by tall paned side-lights. Rich hardwood floors in the living room extend into the "formal" dining room as well as into a main floor bedroom/den that features a second fireplace and French doors that connect to a trellis-covered terraced at the rear of the house. Two second floor bedrooms, both with hardwood floors and tree top views share a single bathroom. The small-ish kitchen could use a renovation to make it glisten with modernity but currently features vintage cabinetry with glass-fronted uppers, intricately patterned multi-colored tile back splash, butcher block counter tops and high-grade appliances that include a six-burner Wolf brand range. A wide archway connects the kitchen to a small breakfast room with built in buffet/china storage cabinet. A sizable dining/lounging/entertainment terrace extend off the rear of the house and steps down to a raggedy patch of grass and concrete terrace half-encircled by a low stone wall/bench and curving trellis. The two car garage at the back of the property is accessed by an alley way. Our brief and entirely unscientific research indicates that Mister Wood has not lived in this house for a number of years. 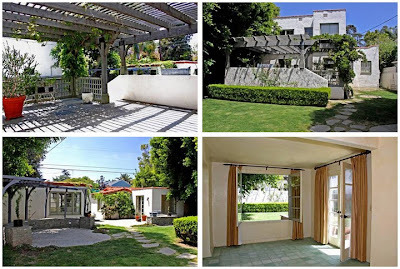 In October 2004 Mister Wood spent $1,200,000 for a modest 1,408 square foot residence in downtown Venice, CA that property records show has 3 bedrooms and 2 bathrooms. So.....what makes it a "teardown"?? See abandoned buildings interiors in better shape than this horrible dump. It has a quaint charm, would be a shame to tear it down. This house has terrific bones and could be an absolute gem with not too much work. I think this is a pretty cute joint. A little run down and not well decorated, but I like it. And you must check out Wood in the TV show "Wilfred." It is an American adaptation of an Aussie show. It is absolutely hilarious, rude, and inappropriate. I recall that when there was some thought to letting Spielberg direct the Harry Potter movies, he wanted Wood as Harry. Thank heavens that idea was never realized, due, they say, to the author's putting her foot down and vetoing the whole thing. Radcliffe is so many miles above Wood as an actor and I doubt Spielberg could have made the Potter movies well at all. Of course I suppose Wood misses the millions he might have made. Sorry. Mistake I believe. I think it was Haley Joe Osment that Spielberg wanted. Disregard prior message. It's a wonderful period house. Replace it with what? Yet another P.O.S. Mcmansion? The likes of which are leading the pack of foreclosures nation wide. Good Lord does EVERYTHING have to have a hotel commercial sized kitchen, Las Vegas style blah spa beige on beige bath, and a master "suite" with enough wasted space between closets and the bed to land a plane? Just a small correction: Mr. Wood's poppa never lived in the house. Elijah's parents were divorced several years prior to the purchase of the Santa Monica house, and poppa moved back to Iowa. 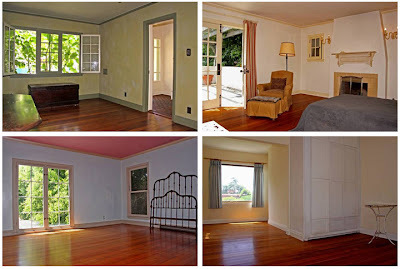 It was Elijah's momma and sister who lived in the front house, while Elijah lived in the back, guest house until he moved to the place in Venice in 2004. Not sure who or who didnt live here, but obviously no one GAY has! Awful decor. Poor house. Now onto description of Richard Branson's Necker Island estate! 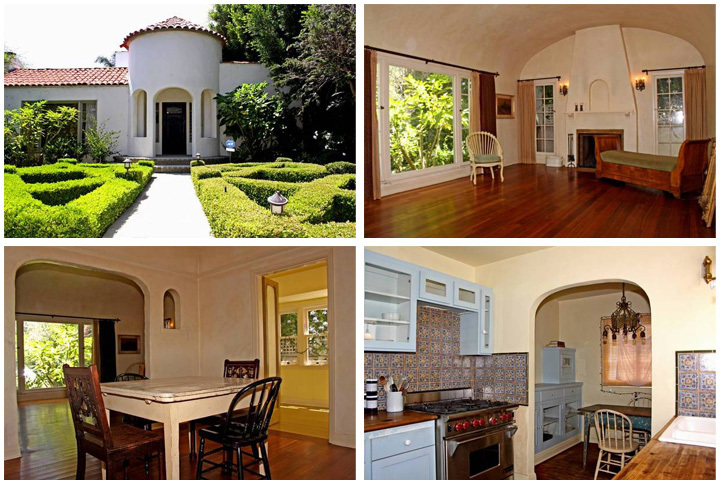 Venice property is actually two small houses, similar to this Santa Monica listing. Wood purchased after restoration design by Grammy art director George Mimnaugh. I can't believe that purchase price... Hard to believe anyone could buy in a decent neighborhood of Santa Monica in 1999 and not at least double their money selling in 2011, even with all the value lost over the last few years.